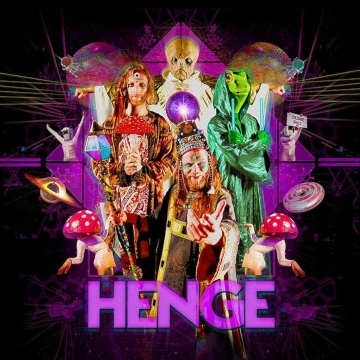 Henge is a band of intergalactic ravers; practitioners of the sacred sounds of Cosmic Dross – a musical form known in other parts of the universe that has, until now, never been heard on Earth. Henge have come in the name of rave to spread their message of love and harmony. Shunya - Alan Keary is an Irish born multi instrumentalist and producer, with a strong musical heritage, writing and producing music from the age of fourteen. Now based in Manchester and performing under the alias Shunya.